How to Care Your Full Lace Wigs, Lace Front Wigs, 360 Wigs, Affordable Wigs. 1, Brush regularly: detangle the whole item section by section from tip upward to root by a soft bristle brush or pro, Looper brush gently and patiently. 2, Wash carefully: shampoo your item between the palms of your hands from tip to root by using mild shampoo and warm water(not hot water). Rinsing the item thoroughly from up to tips in cool water . 3, Condition like a pro:use nourishing leave-in conditioner or Morocco oil to condition the hair for at least 10 minutes to prevent the hair from getting dry. 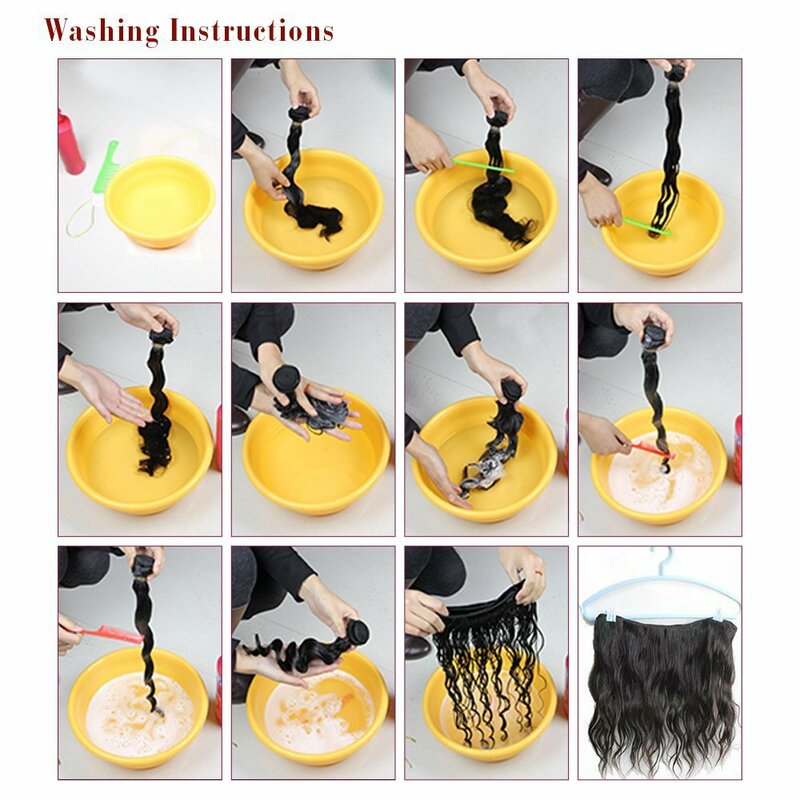 4, Dry the hair by air: squeeze the item to let water out. Wrap the hair by a towel , squeeze again to get rid of the extra water , then let the hair air-dry. 5, Care curly or wave item gently: place the item flat on a dry towel to let it dry by air , style the item by crunching gently. 6, Braid or wrap the hair when in sleeping to avoid tangling.